The Brad's Deals office was buzzing Monday morning. After almost 2 years, Mad Men has finally returned to our Sunday night line-up, and we couldn't be more excited. Catch Mad Men every Sunday night at 10/9c! The long-awaited return of AMC's Emmy award-winning series Mad Men has us wondering what would Don Draper, Pete Campbell, Joan Harris, and the rest of Sterling Cooper Draper Price want to save some money on. With this in mind, we have rounded up 5 stores with great deals that will surely put on a smile on even Betty's most sour face. Caution: This blog may contain spoilers! Last fall Banana Republic debuted a line of apparel created with Mad Men's costume designer, Janie Bryant. This spring, Banana Republic's Mad Men Collection features dresses, cigarette pants, and jewelry with a vintage 60's vibe. Don't worry boys, you haven't been left out. There are plenty of tailored blazers and polo shirts to keep you looking as sharp as Don and Roger throughout the warmer seasons. Best part: Banana Republic releases new coupons almost daily. Be sure to check out our Banana Republic coupon page for the latest promo codes. Bring vintage style into your everyday wardrobe with the Mad Men Collection at Banana Republic. Christina Hendricks, who plays Joan on Mad Men, once famously said that structured undergarments, like Spanx are what makes her body look so deliciously curvy in those figure-flattering vintage dresses. Not all of us were born with the perfect body, but we know how to fake it. Spanx takes 20% off the Spanx Starter Kit. With Spanx deals like that on your on your side, you'll be looking drop dead gorgeous in no time. Save 20% on the Spanx Starter Kit! Smoking is just one vice that our favorite ad execs give in to on a very regular basis (I'll let you figure out the other ones). 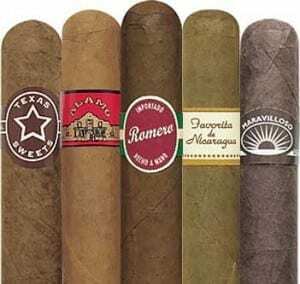 Gotham Cigars is your one-stop-shop for deals on the finest cigars and tobacco accessories. After Don married his latest lady Megan, we can bet that Don and the rest of the guys celebrated with a fresh cigar. Gotham Cigar always takes an extra 30% off all closeout items! In season 4, Sterling Cooper Draper Price lost their biggest client, Lucky Strike. In season 5, it looks like we are going to watch the guys and Peggy try to beef up their accounts. Pete's promising meeting with Coca-Cola is looming, and we know that he would need to bring in some Coke products to impress the company. The Coca-Cola store features everything from vintage Coca-Cola collectibles to apparel to home decor. 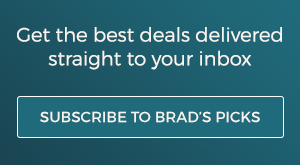 Bonus: Use Brad's Deals exclusive Coca-Cola Store coupon BRADSCOKE15 to take 15% off your entire order! You don't need to pay hundreds for vintage Coca-Cola products. 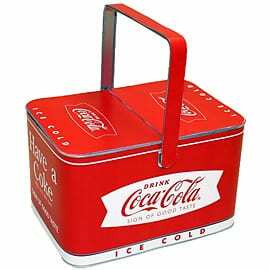 This Coca-Cola basket tin is just $8! To say that the characters on Mad Men drink frequently is quite the understatement. With all the money they spend on booze, we imagine that saving a bit of money is something that would interest partners at SCDP. 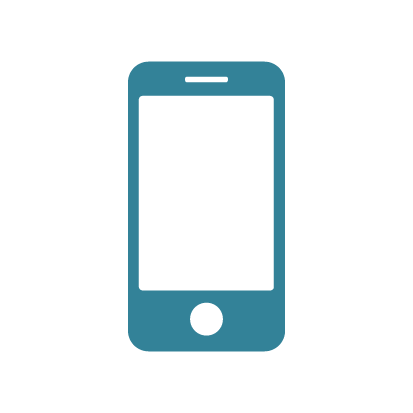 Wine.com features a wide array of wines, as well as wine accessories. With new weekly coupons, and shipping for just a penny on your first order, Joan would immediately approve this office expense. Get your *first* order shipped for just a penny! Use coupon code welcome11! Do you want to find more deals that will feed your vintage craving and 1960's style? 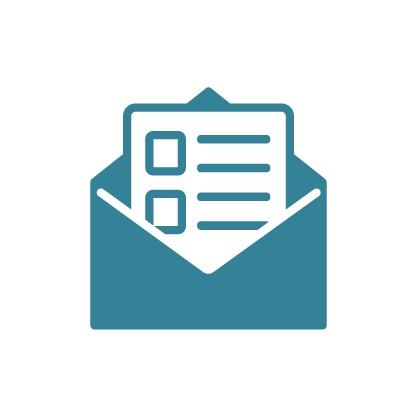 Subscribe to Brad's Daily Alerts to get the best deals, coupons, and savings tips delivered right to your inbox everyday! 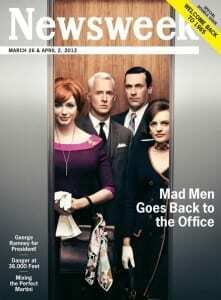 Are you as addicted to Mad Men as we are? Let us know what you think about Mad Men Season 5 so far in the comment section!